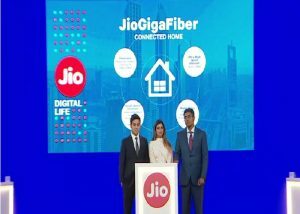 Reliance Jio chairman Mukesh Ambani announce the availability of the Jio Giga Fiber (FTTH) broadband service during the Annual General Meeting on July 5. Jio Giga Fiber launch in 1,100 cities across India was the biggest event of the Reliance Jio. 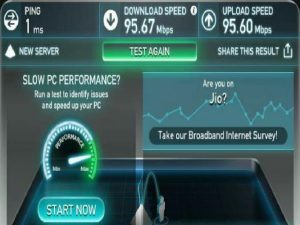 The FTTH service from Jio has been under the testing phase since 2016 and it is claimed as the next big launch for the company. The company calls Jio Giga Fiber provides speeds up to 1Gbps. Jio Giga Fiber registrations will begin from August 15 on the MyJio app and Jio.com. The service aims to deliver wall-to-wall broadband service for mobile devices and it will also work on TV with the help of Giga TV set-top boxes and smart home devices. It will also give them access to Jio’s app suite. 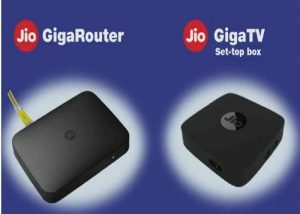 The Jio Giga TV set-top box will come with over 600 movie channels, 1000s of movies and millions of songs. This set-top box comes with advanced features such as video calling feature, allowing users to make video calls from their televisions. 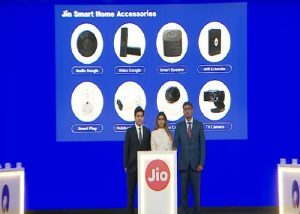 Reliance Jio will also be offering a range of Jio Smart Home setup accessories like Door Sensor, Security cameras, Smart Plugs, Smart Speakers, Smart Doorbells and more.